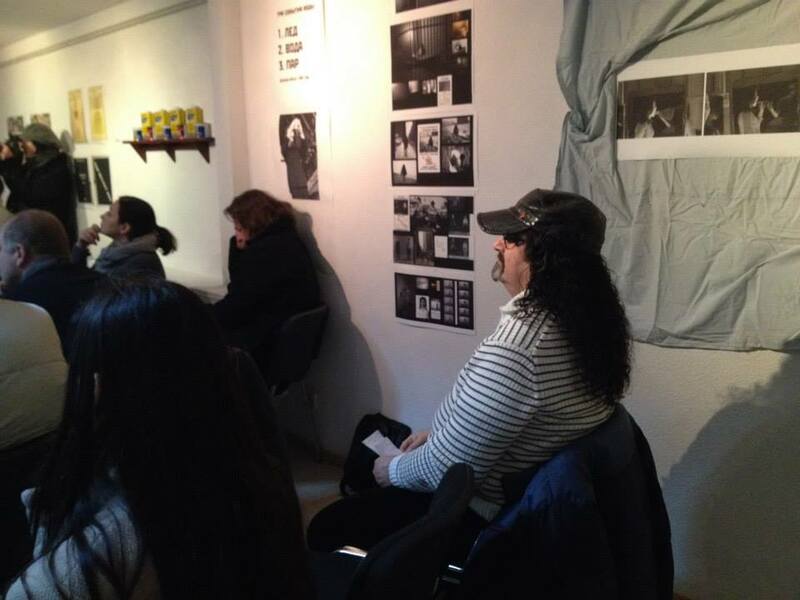 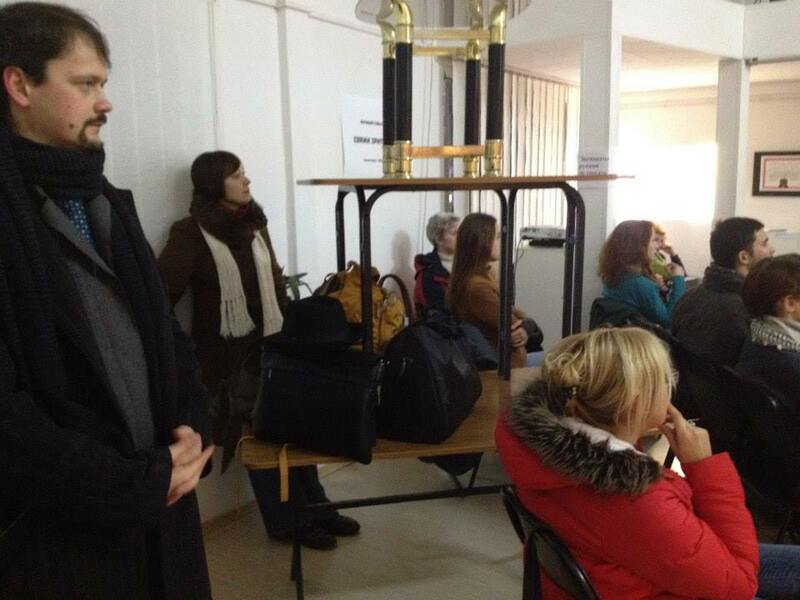 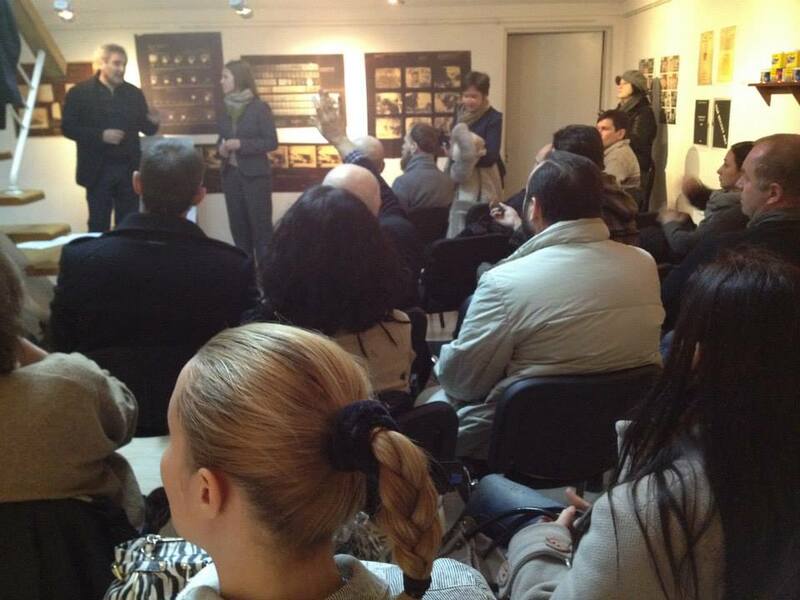 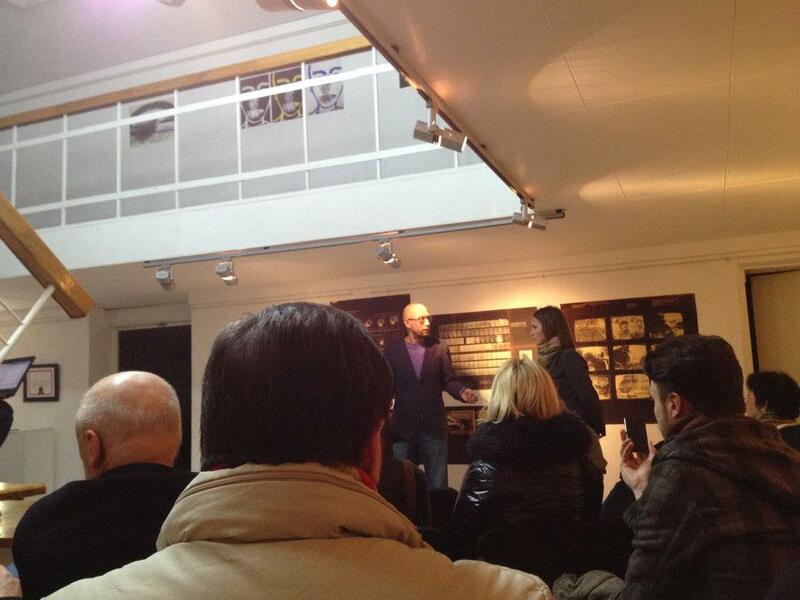 A meeting of representatives from cultural organizations in Kharkiv was held in the Municipal Gallery during the Fluxus Time show to discuss the new cultural reality after the victory of the Ukraine Revolution. 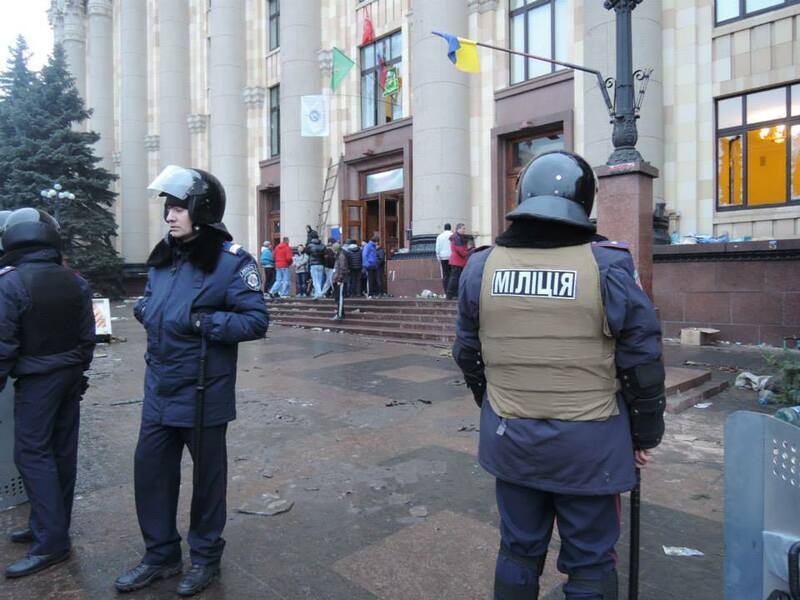 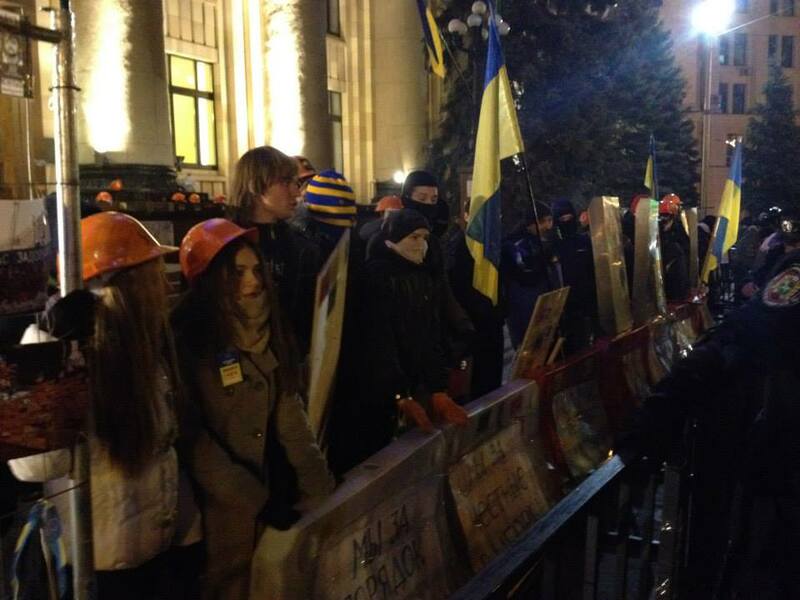 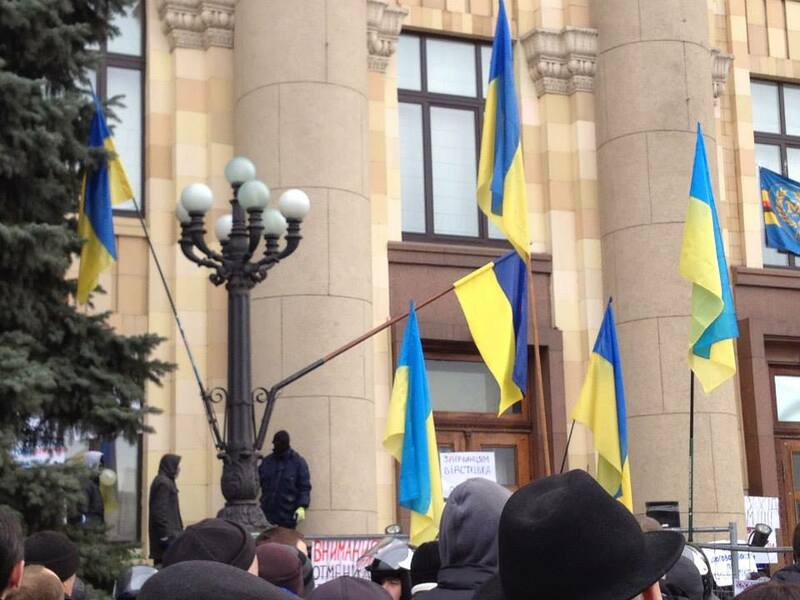 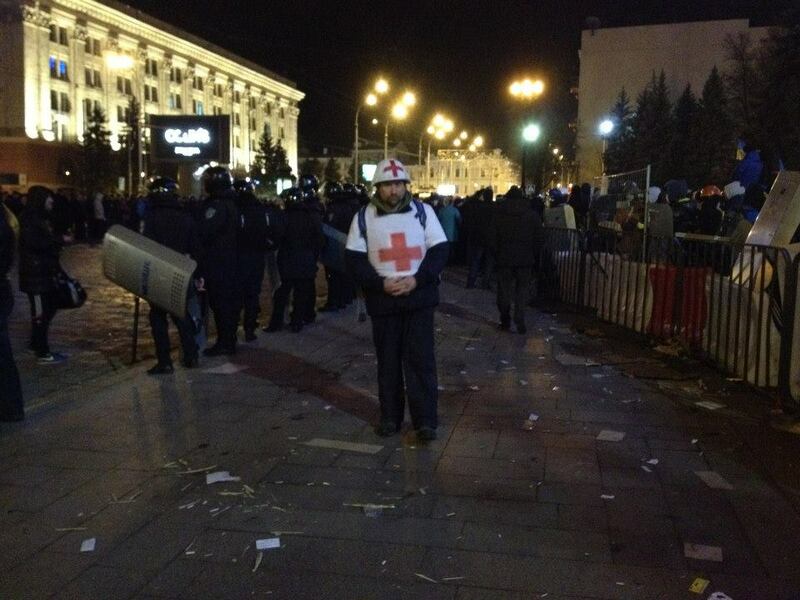 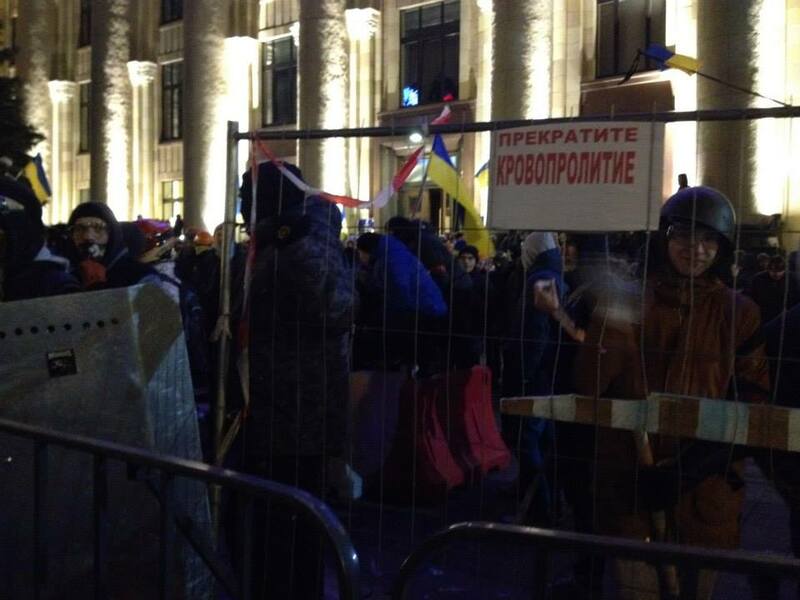 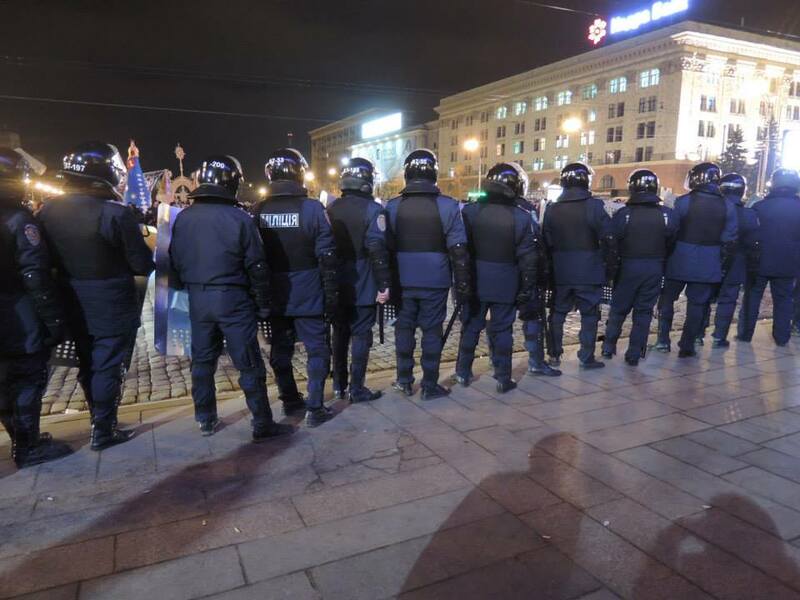 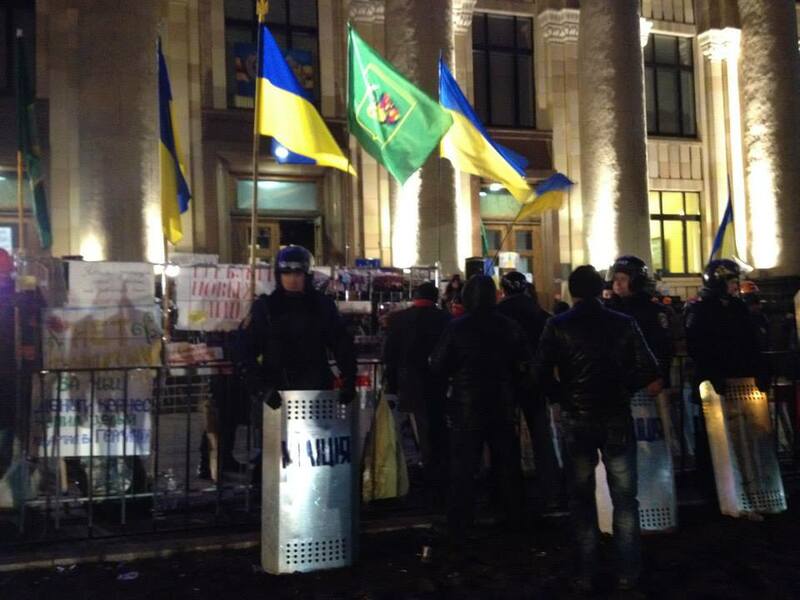 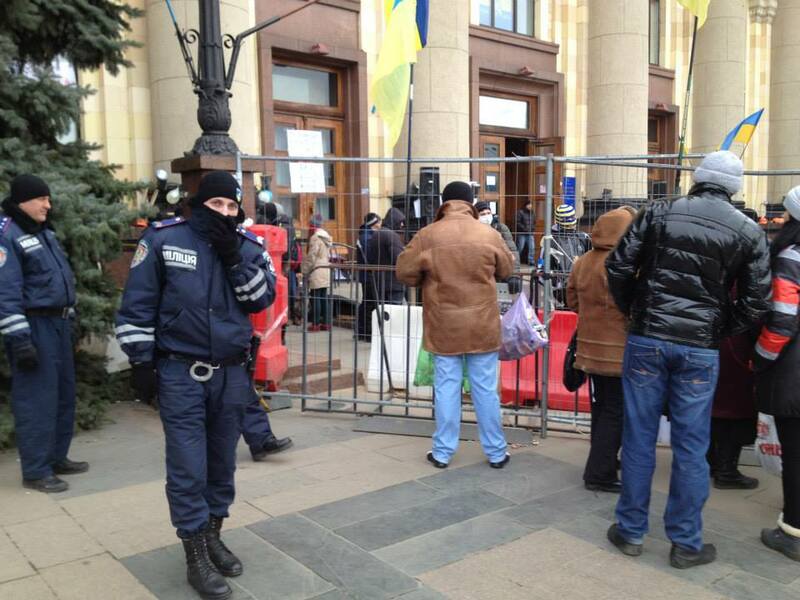 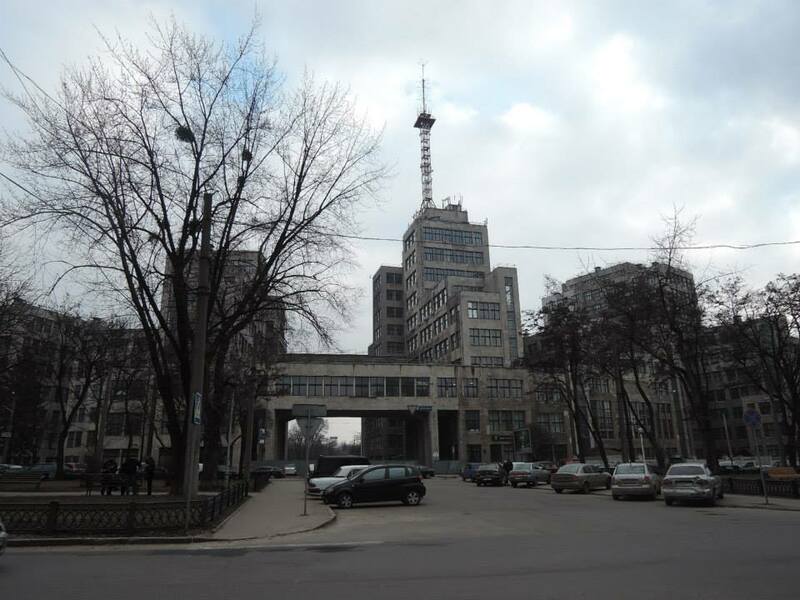 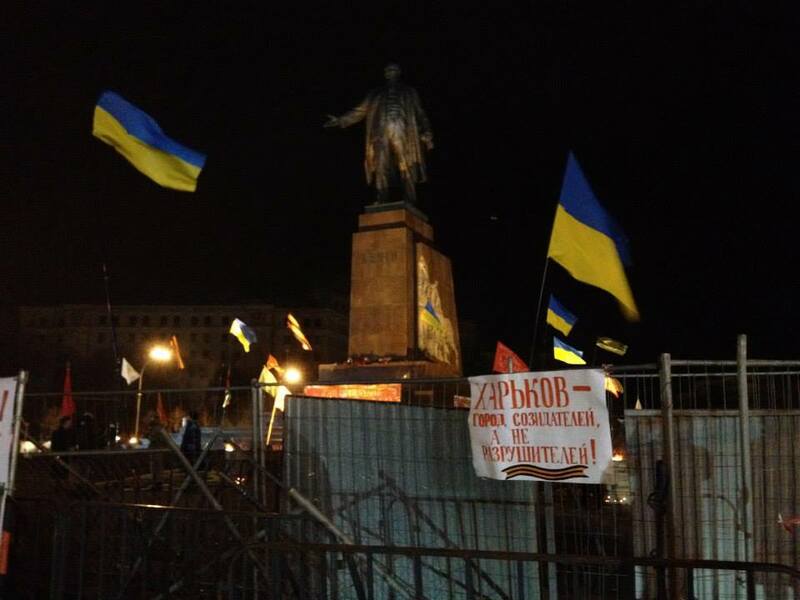 Two blocks away local Maidan was standing for it until the pogrom by pro-Russian mobs. 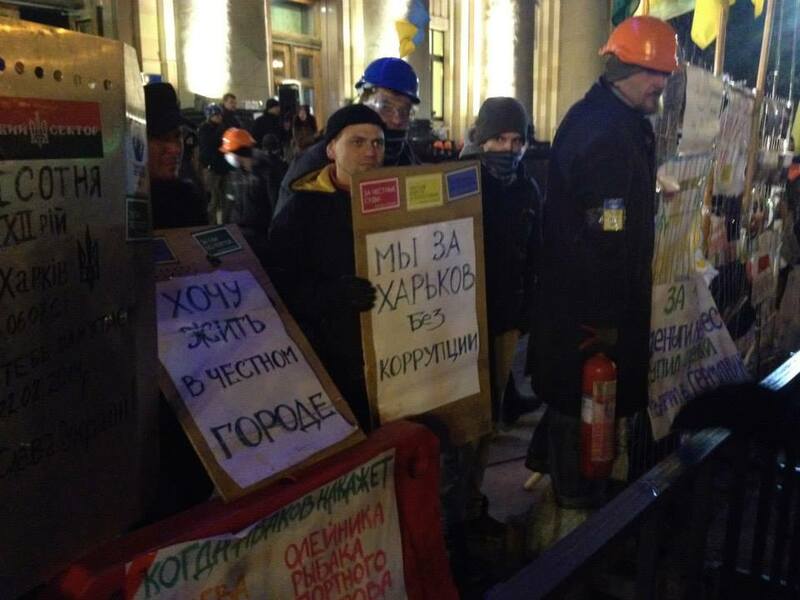 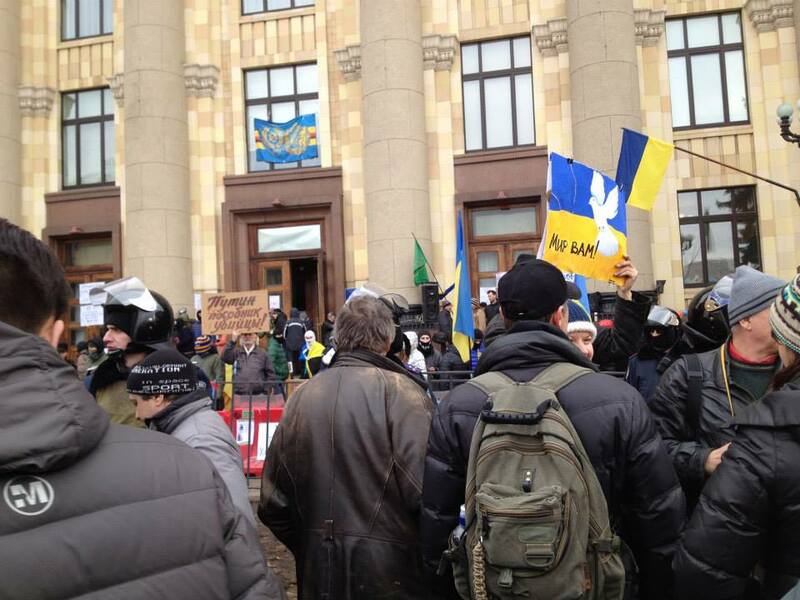 Signs: "Stop the Bloodshed", "I want to live in honest city"; "We are for Karkiv without corruption"; "Peace to all".